I came, I saw, I ate. By yet another person who is only mildly(!) obsessed with photographing and blogging about what and where they eat. Just a short post - Had the opportunity to catch up with my cuz this evening. 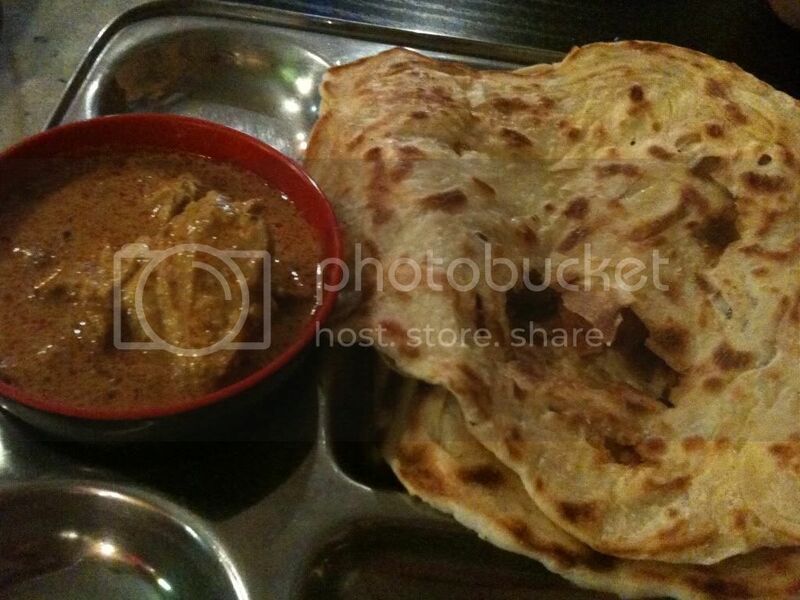 Feeling like some roti and not wanting to travel too far. 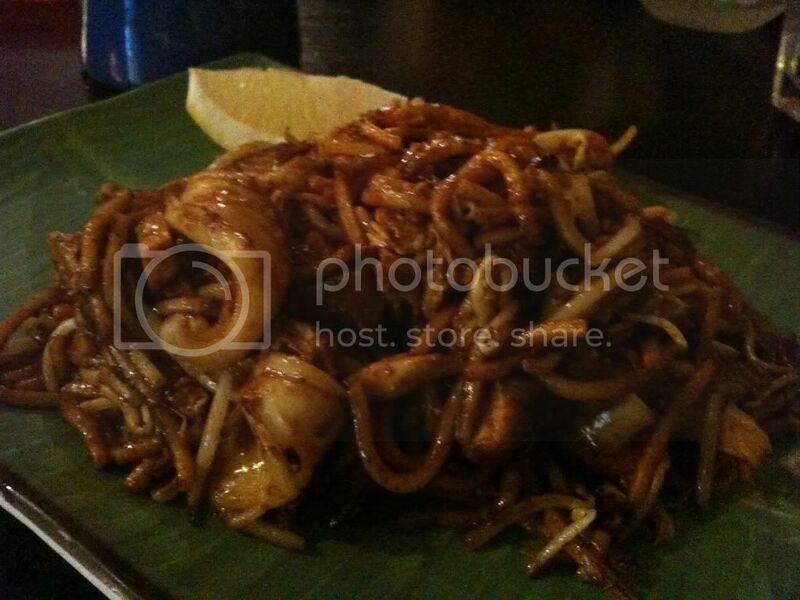 I quite liked this dish - it wasn't too sweet; some 'mamak mee goreng's I've eaten have been too sweet for my liking. The roti was sweeter than usual, but I didn't mind it at all. 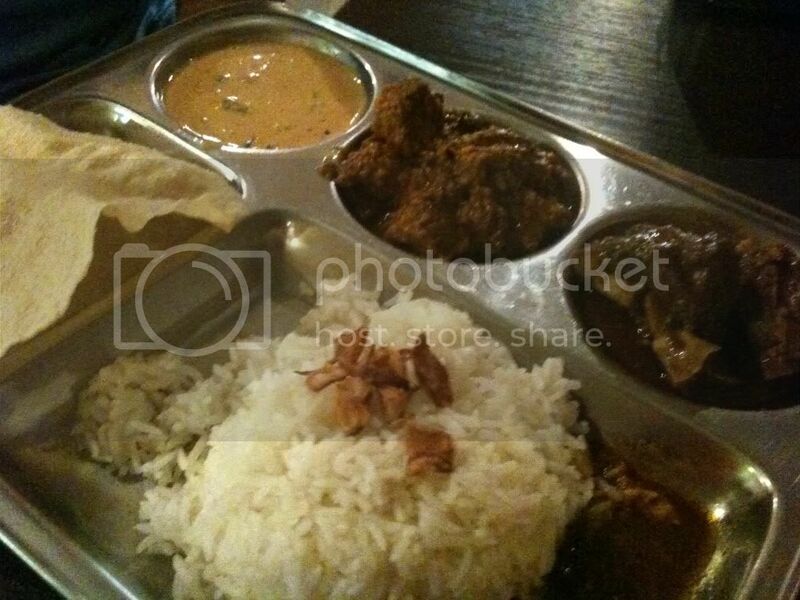 The curry was okay; it was flavourful, but it wasn't a biggest wow. The lamb curry and beef rendang were quite nice, but it was extremely disappointing that the "mixed vegetable curry" was made with frozen vegetable mix - peas, carrots, corn. Ugh. The Husband ordered this dish and was so unimpressed. We then tried to order dessert, but for some reason, could not get their attention, despite some loud "YOOHOO! "s and despite the fact that we were one of the two group of customers. I ended up having to get up from my seat, walk up to the back counter and order our dessert. The ice kacang we ordered was decent, but the service to order it wasn't. Overall, I wouldn't mind popping by having a quick, quiet meal here if I am in or around the neighbourhood, but don't think it's worth any more effort than that. Once upon a time, we were city-fringe dwelling DINKs (Double-Income-No-Kids) who loved to splurge on eating out. Now, however, we've become SIOKs (Single-Income-One-Kid) residing in the 'burbs west of Melbourne. With the occasional eating out, I will try my best to blog about little-known, little-blogged-about eateries in the west, whenever I can. I'm perpetually at my daughter's beck and call, so again the operative word is: try! Behold - yet another blog just about food!